Today’s building owners are driving the demand for the use of intelligent BIMs for their properties. Financially, they have the most to gain. There are significant benefits, whether the property is new, renovated, or simply modeling an existing structure. 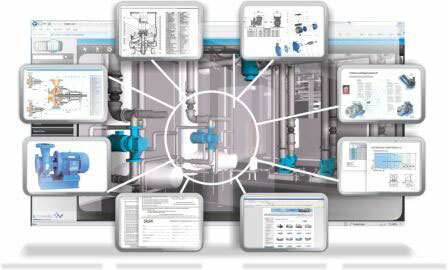 • Facilitation of value engineering scenarios with ease. This allows selecting the best combination of up-front costs and future economies. • Improved communication throughout the construction process. • Fewer design changes and costly conflicts as construction progresses. • More efficient scheduling, which in turn results in shorter construction durations. • Less waste and fewer delays. • Accurate and intelligent Record documents (As-Built drawings) for FM throughout a building’s lifecycle. This provides cost-saving benefits for building maintenance as well as future expansion and/or renovation. What ENGworks has done is create a handshake between the needs of an owner and a BIM. This cohesive information can be used and displayed in a variety of different methods, from a simple spreadsheet to a fully integrated relational database containing efficient graphic representation of the structure(s). Even if the building was not designed as a BIM, ENGworks can convert the completed 2D Construction documents into an intelligent BIM using Autodesk Revit® and/or other appropriate software. Contact Us for more information about FM Integration.